On Friday, Google expanded the number of countries that can now purchase content from Google Play Movies and Google Play Books. The former offers users a chance to view all of those movies that you missed over the years. Google Books lets you read purchased content over your Android flavored devices. Overall, 11 more countries can now access Google Play Books. 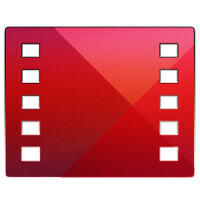 Google Play Movies is now available in 21 more countries. The additional countries now able to purchase a book from Google include Bolivia, Costa Rica, Dominican Republic, Ecuador, El Salvador, Guatemala, Honduras, Nicaragua, Panama, Paraguay, and Uruguay. Android users in the following 21 countries now have access to Google Play Movies: Albania, Argentina, Armenia, Azerbaijan, Belarus, Croatia, Czech Republic, Estonia, Greece, Kazakhstan, Kyrgyzstan, Lao People's Democratic Republic, Latvia, Lithuania, Moldova, Poland, Slovakia, Tajikistan, Thailand, Turkmenistan, and Uzbekistan.